S-ATA vs P-ATA why Serial is faster ? 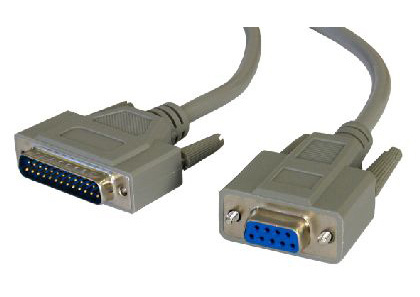 The parallel port that used to be part of your machine was faster than the serial port . We used to attach the devices that need fast response like the printer and scanner to the parallel port and serial port was used for devices that need much lower data through put ( the classic case was the serial mouse ) . So I was little bit confused when almost 6 -7 years back when the Serial-ATA was introduced to the market and claimed more speed than the conventional parallel ATA ( IDE ) . Then I have to accept the fact that USB which is also a serial data transfer system is getting faster with USB-2 and then USB -3. Then the classic parallel SCSI which was used for the high performance server machines were replaced by its new incarnation which is called Serial Attached SCSI ( SAS) . So it is high time we have to re think about the data transfer systems using serial and parallel communication . Now we can think about our old high way analogy in a different perspective. On oor first argument favoring parallel transfer , we said that an eight lane highway is faster . But think it this way , if we have to control vehicles in such a way that all the eight cars passing parallel though the highway has to reach a specific point at an exact moment , it will be hard to sync the speed and driving habits of each driver . If we keep in increasing the speed of the cars on the lane , it will be again difficult to maintain control and there are chances for collision between these vehicles . So just think about vehicles passing at 300 km /hour and still maintaining its distance and space accurately from each other , Hard to think .. is it ? Then how about a train with 20 compartments connected serially , perfectly coupled with each other zooms through the track at 300 km/ hour , Yes it is quite possible , and it can carry more passengers too , is it ? The same case applies to the parallel data transfer system .When the data transfer rate has to be increased beyond a certain limit, the data bits coming through multiple lines is hard to synchronize and cross talk will occur between data bits of different line as the frequency of pulses are increased. Naturally we have to reduce the length of the data cable to maintain the data integrity and more complicated circuits for synchronization increase the over all cost of the system. So that means beyond a certain speed limit , the parallel data transfer system is not practical .